Ruben Kihuen. Photo: Bill Clark/CQ-Roll Call,Inc. A woman who worked as the finance director for Democratic Nevada congressman Ruben Kihuen’s 2016 campaign told BuzzFeed that Kihuen made several unwanted sexual advances toward her. Kihuen repeatedly asked the woman, identified only as “Samantha” by BuzzFeed, whether or not she would cheat on her boyfriend, touched her thighs without her consent, and suggested the two of them get a hotel room together, among other violations. Samantha was 25 at the time, while Kihuen was 35. This is his first term in Congress. When she left the campaign in April 2016 because of the ongoing advances, Samantha told a staffer at the Democratic Congressional Campaign Committee, which was involved with the campaign — but does not set human-resources rules — about her experience. Kihuen’s campaign manager was informed that Samantha had felt “uncomfortable” around the candidate, but when he broached the issue with Kihuen, the candidate denied any impropriety. Ben Ray Luján, the head of the DCCC, said that Kihuen should resign, a position that reflects the party’s challenge as it grapples with several allegations against powerful men, including Congressman John Conyers and Senator Al Franken. 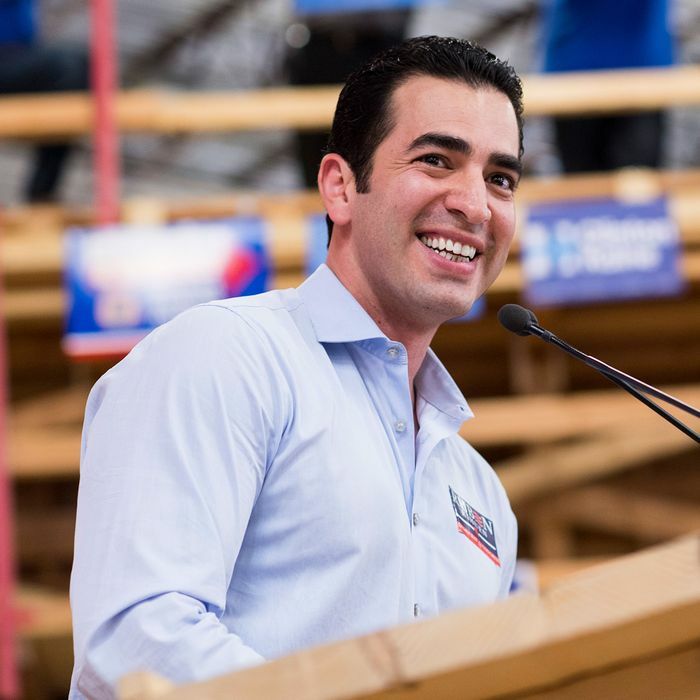 Kihuen, a protégé of former senate majority leader Harry Reid, has been seen as a rising star in a Democratic Party that is in dire need of young talent. He was first elected to the Nevada state legislature at 26, and is the first Latino to represent Nevada in the House of Representatives.